David Walton (65) has decided to hang up his uniform and retire after being a member of Leicestershire, Northamptonshire & Rutland ACF since he joined as a cadet at the City Boys detachment back in 1961. After a very successful cadet career, he became an Adult Instructor in 1965 to give back something to an organisation he describes as "the greatest youth organisation in the country"
47 years on, he has finally decided to call it quits and concentrate on his other hobbies, which include amateur photography and a very large allotment. He is also a very active and energetic advocate for cochlear implants after receiving a life changing one himself in 2005. "The ACF has changed dramatically since I joined it all those years ago, but I still firmly believe it is a truly great organisation for young people which allows them to undertake challenging activities whilst instilling values of kinship, responsibility, self respect and a great sense of community" said David. "It has been hugely satisfying to be part of the ACF; I've seen first-hand the benefits to our young people, whether it be their appointment to Lord Lieutenant's Cadet, their sense of achievement when they reach the top of the climbing tower or the pride in themselves whilst on Parade in their immaculately turned out uniform and bulled boots. Today’s youth are often under-estimated, so it's always rewarding to help young people develop their skills and become confident young adults who are a credit to themselves and to us. "The ACF motto is To Inspire to Achieve", and if I have managed to inspire young people and our volunteer adult instructors and officers to do that, then I have achieved my aim"
David, whose wife Teresa was the LNR ACF Administration Officer 20 years, was also appointed as a Cadet Administration Assistant; an appointment he held for almost 40 years until he retired in 2007. Following on from his retirement in 2007 he continued to maintain his ACF links and has worked tirelessly, continuing his volunteer commitment with the County Training Team, where his huge knowledge base and advice were invaluable. During his service, David has served under seven Commandants and nine Squadron Commanders and has worked tirelessly behind the scenes, demonstrating his exceptional commitment to the local community and the youth of Leicestershire, Northamptonshire & Rutland. He has held several key roles in the County, including a tour as Regimental Sergeant Major and was the County Adjutant for many years before his hearing loss forced his retirement from the post. He was also instrumental in instigating the recently formed LNR ACF Comrades Association and is currently their Treasurer. 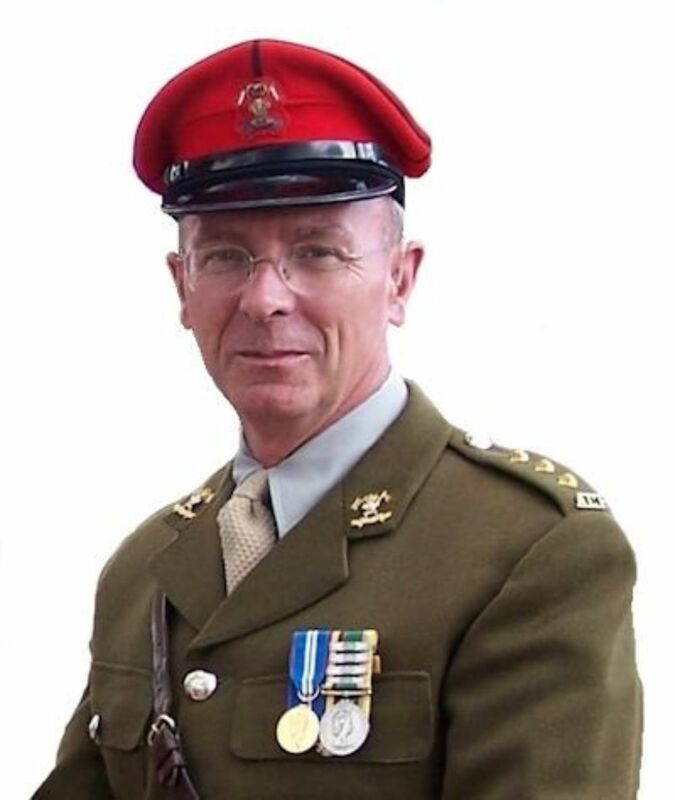 He received a Lord Lieutenant's Certificate of Meritorious Service in 2007 and in 2011 was presented with the fifth bar to his Army Cadet Force Medal, earned way back in 1977. David was recently dined out by the Officers' Mess, who presented him with a beautifully worded crystal decanter and his silver name plate. Lt Col John Pickering, Deputy Commandant, said "David is a legend in this ACF and I am very proud to have served with him. His advice, help and friendship have been invaluable to me and everyone else who served with him; he will be greatly missed". To quote just one of the other comments from his fellow officers "The legend of your commitment and dedication will be your legacy, it has been a real privilege to work with you."